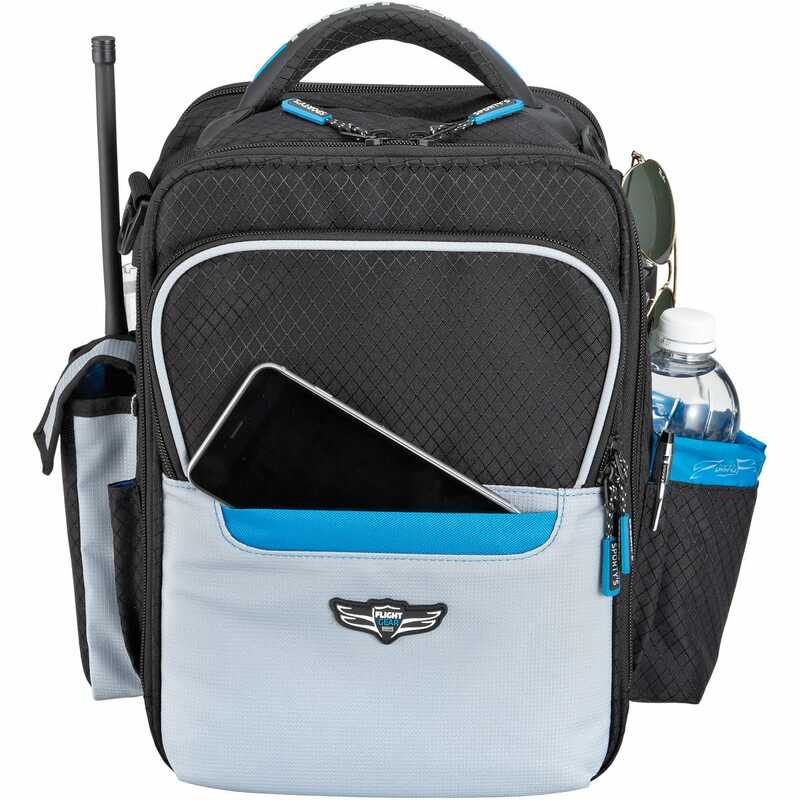 Padded iPad pocket large enough for most kneeboards Main compartment measures 11” h x 9” w x 5” d.
The iPad Flight Gear Bag is the ultimate for in-flight organization. Measures 12” w x 7.5” d x 13” h overall. Optional embroidery available on the front flap. Winner of a 2017 Editor's Choice Award from Aviation Consumer magazine! 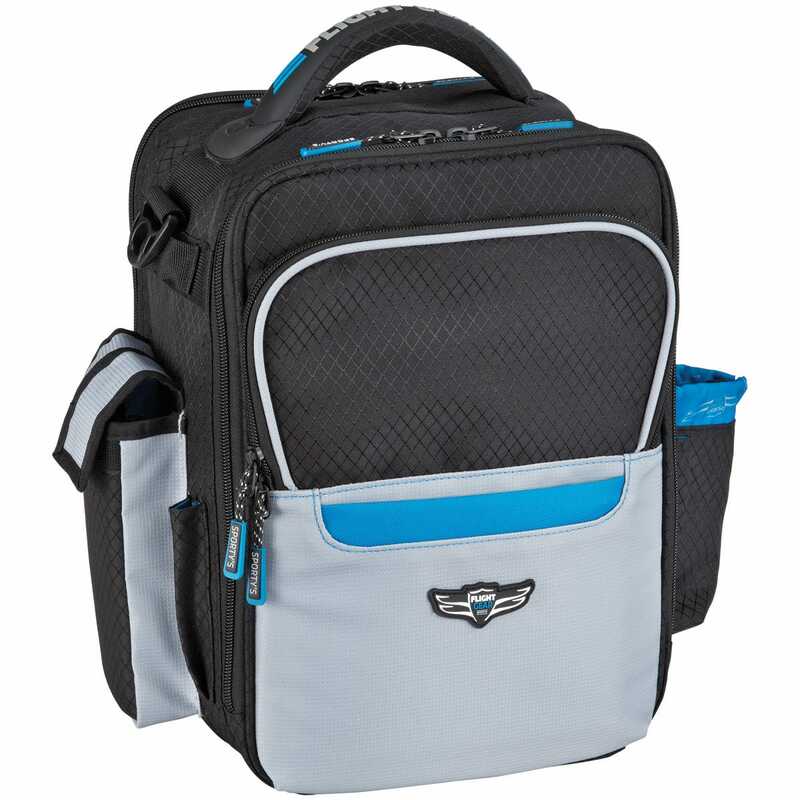 "we liked the Sporty's HP iPad bag the best." "What really sold us was the ability to house a headset without having to stuff it into a compartment. 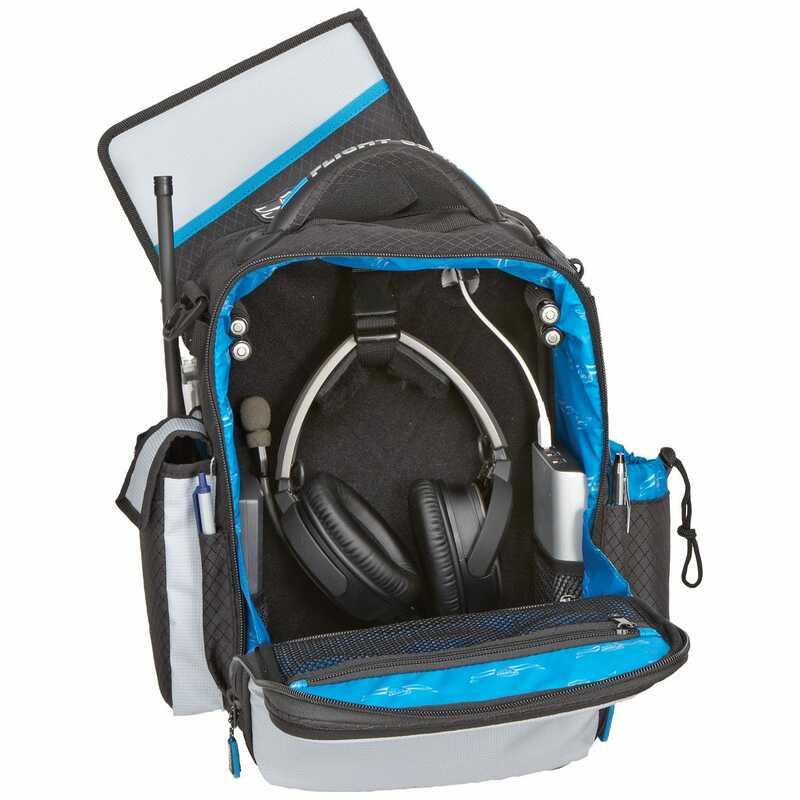 Instead, the bag has a headset hanger that keeps it suspended in the main compartment." The iPad is a must have while I'm flying and my flight bag reflects that. 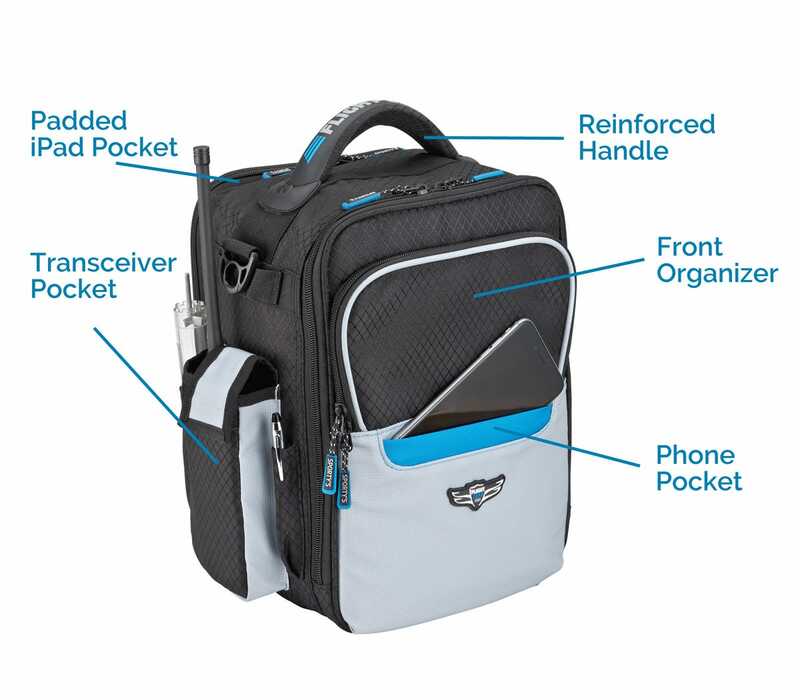 This iPad Flight Gear HP bag is perfect for not only carrying, but organizing the gear I need to fly with my iPad. It's durable and protects my gear so I don't worry about tossing it in the back. 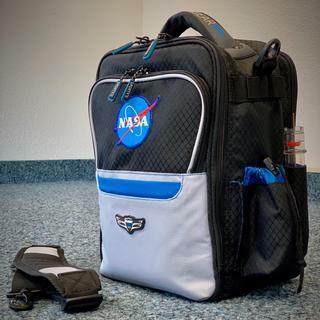 My son needed his first flight bag and this one fit the bill! 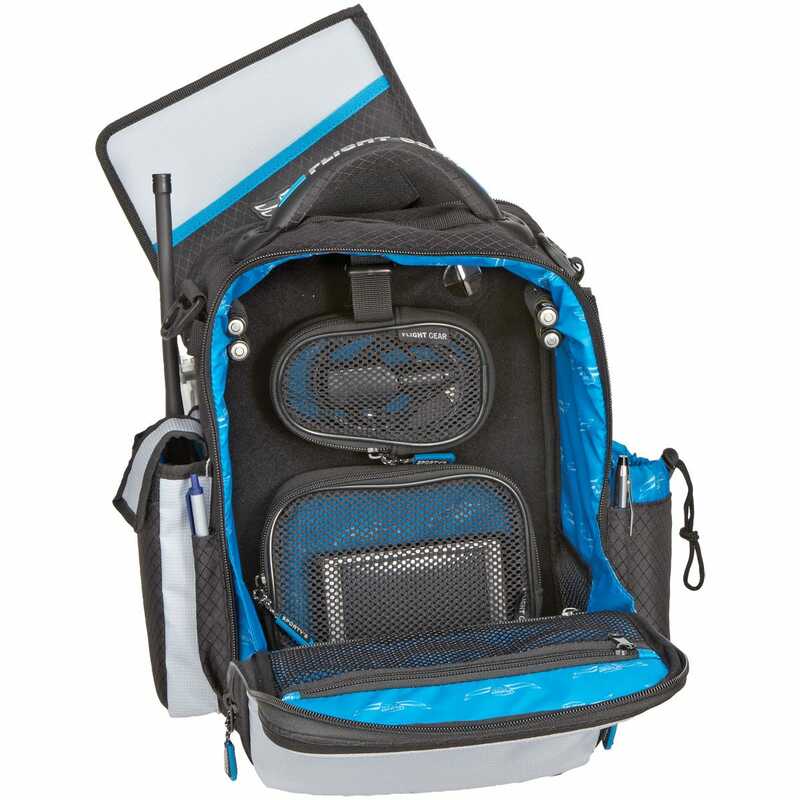 It is very well made, just the right size, and holds his stuff nicely. The only reason for a 3 on value is because the larger bag Crosswind was $20 less expensive. I assume it is because this size is more popular. In spite of that, I would still recommend this bag! Easy to use. Holds everything. Great design. Good quality. Loving this flight bag. Enough room for everything that I need but isn't too bulky. Thanks! Smart organizer priced at an attractive price point. Excellent product. not complaint at all; looks same as the picture. but I think you should design something like that but smaller. I was afraid that the bag would be too big, but it isn't. I can load my iPad, knee board, handheld radio, headset, flashlight and more. It works great for taking all of the gear to the airplane. By far one of the best bags for its price! For 69$ i did not expect that quality. Everything fits perfect, the zippers are smooth and the size is pretty compact. If you don't carry all stuff hardcopy-printed with you it fits perfectly for the every-day-items. I usually have the 8 required printed icao maps (germany) and the needed approach charts as a backup printed with me and all other stuff digital - for that its well enough space. 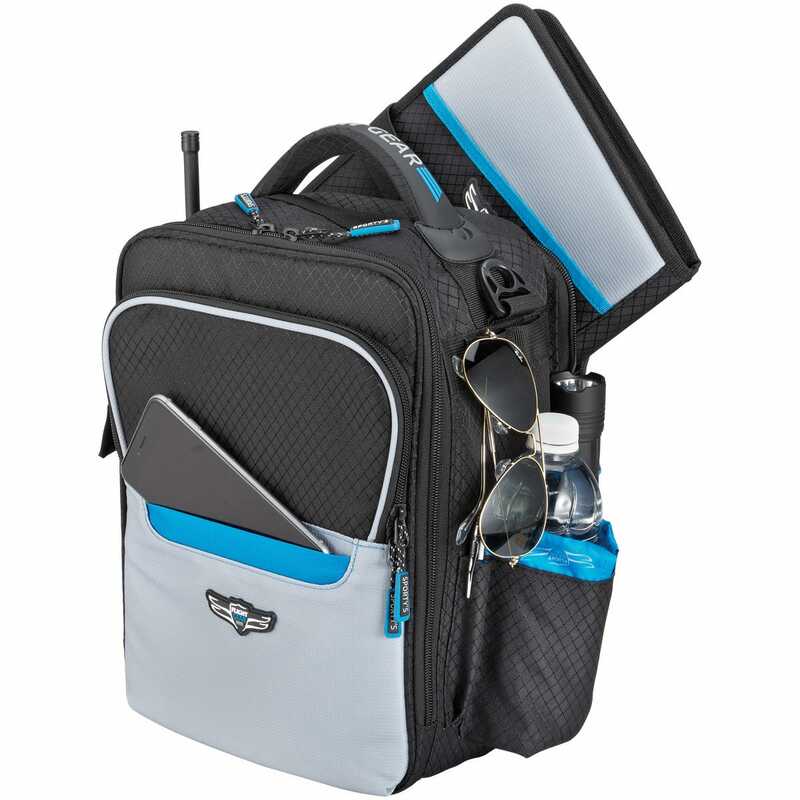 Carry a 100Wh anker battery-pack with USB-C and dual USB, 6x AA backup lithium batteries, the biggest ICOM handset with extra backup battery (6x AA included), the Bose A20, iPad mini, Garmin Virb 360 with mount, bluetooth-interface, cables and stuff... sunglasses etc. it fits all very well with enough space for additional things. Well done sporty's ! Thanks a lot for the fast shipping to germany and the excellent support via email in advance. I bought a smaller bag through another source and it could only hold headphones. 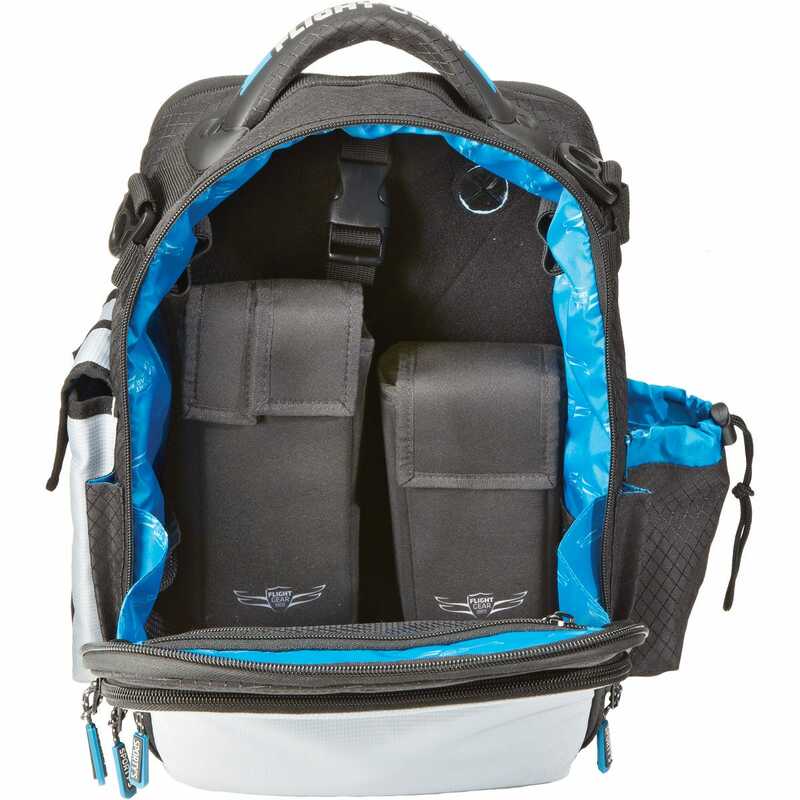 This bag holds a flight book, knee board and everything else you need for a good flight. Excellent. Light and well made. Quick delivery. Beats expectations hands down. Will this bag hold an iPad Pro which measures 12" X 9"? BEST ANSWER: Yes it will - fits in the back iPad pocket nicely. Will an ultimate knee board (fixed ring) with an ipad mini fit? It will fit. It's a perfect size for everything. 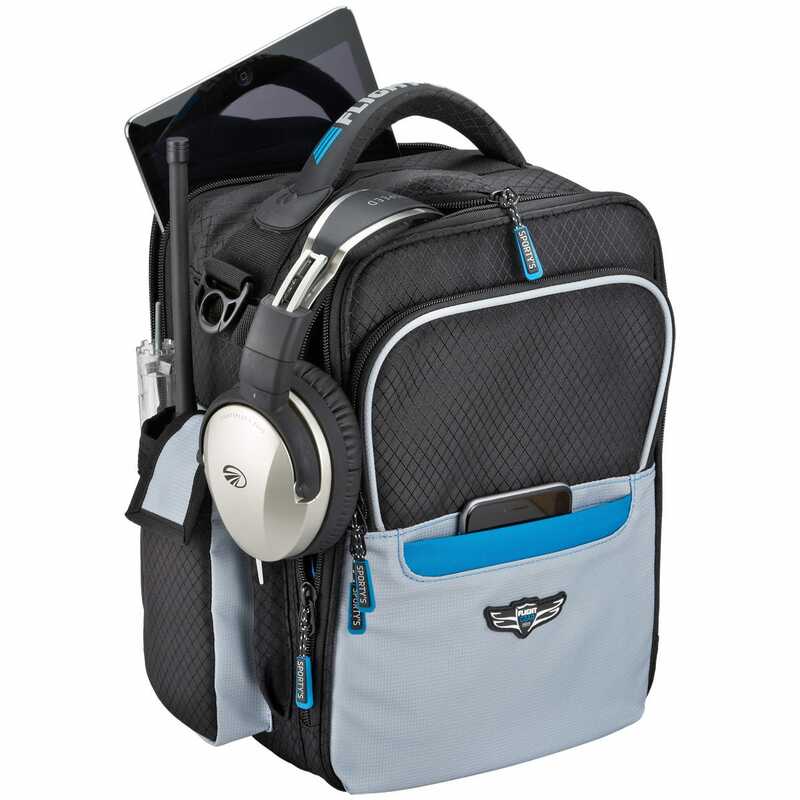 Has a place for your headset and several other zip slots. I also carry 2 GoPro cameras, log book. It sling over the shoulder as well and looks good. Caleb, I believe it will fit. I store my kneeboard in the middle pouch. My kneeboard measures 16.5"L X 8.5'W. Hope this helps. My iPad Air 2 with an ASA Kneeboard fits in there fine with lots of room to spare. I'm sure you won't have any issues. I believe it would be a very tight fit-perhaps too tight, assuming you use the headset compartment for your headset. I have an iPad Air/2 that's primary, plus an old iPad 2 that's backup. I also carry a headset. Will all that fit in this bag? BEST ANSWER: Yup! I fly with my iPad Air 2 with an ASA Kneeboard and my logbook in the same pocket. My Headset fits in the nice headset hanger. And there is still room to spare for maps, charts, flashlights, etc. Yes. But I would suggest putting one of the iPads in a padded sleeve to prevent damage to the screen. Both will then fit in the large pocket meant for tablets. I fly with a folder for keeping my invoices and company flight sheets in a standard 8.5x11 hard folder. does that fit anywhere? also does the jepp professional pilots logbook (brown and green pages) fit in there too? im on the road always and just looking for something to fit my A20, Aera 660, portable battery, logbook, ipad and the chargers. BEST ANSWER: Yes, a standard folder will fit quite well in the middle pocket, as will the logbook. 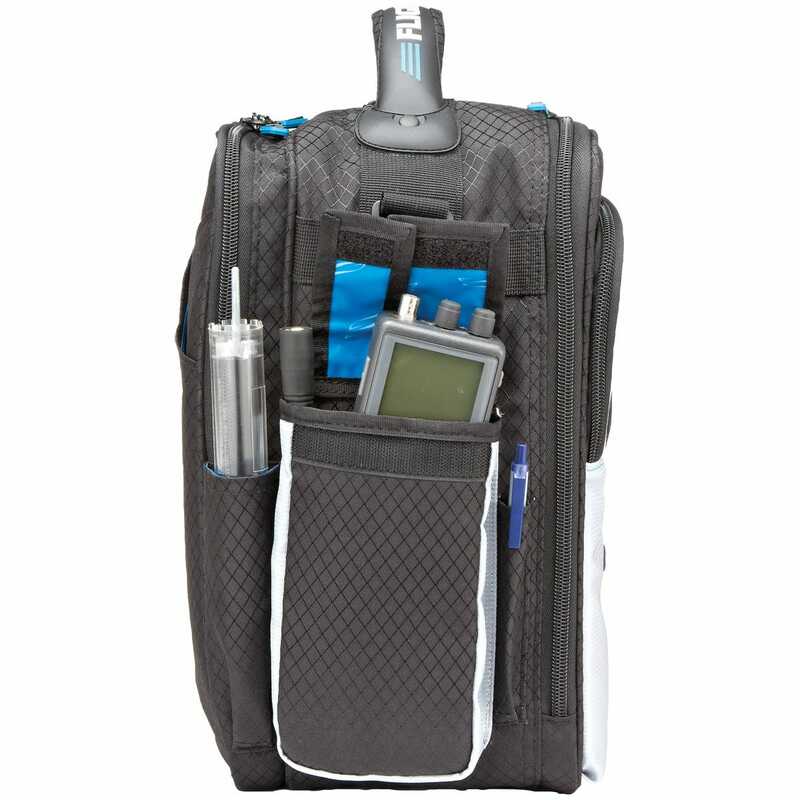 Can the asa 13.5 inch rotating plotter fit in one of the flight gear hp iPad bags chart pockets? No, it will not sadly, as it is too long for the bag. The bag, however, is a very nice size and all my important stuff fits inside. This includes Ipad mini, ram yoke mounts, and headset. I would encourage its use. A 13.5" rotating plotter should easily fit vertically in the outer unzipped pocket. I need enough storage for an iPad 2 Air, RAM yoke mount, headset, and a kneeboard. A little extra space wouldn't hurt, either. Will this fill the bill? BEST ANSWER: Absolutely! I fit my iPad with knee board, plus a back up knee board with pad of paper, just in the iPad pocket. I keep my Bose A20 headset, powered adapter for it, and an extra hat in the main pocket; however, I have plenty of extra room for random things. There are also internal pockets I keep my sic sacs, charger and cable, extra batteries, and still have an empty pocket. And that’s just the main pocket! There is a third compartment for pens, and flat stuff, like my logbook. The you have external pockets for a handheld radio and all the random little things, for me it’s pulse oximeter, plb, GPS receiver, queaze ez, flashlight, and multi tool. The iPad bag won’t quite be big enough. I use mine for iPad Pro 9.7, a MacAir 11 inch, headphones, and of course required power supplies. Flash light, radio, and I put my Stratus where the water bottle would go. I think that all you’ve got (except the kneeboard) would fit. 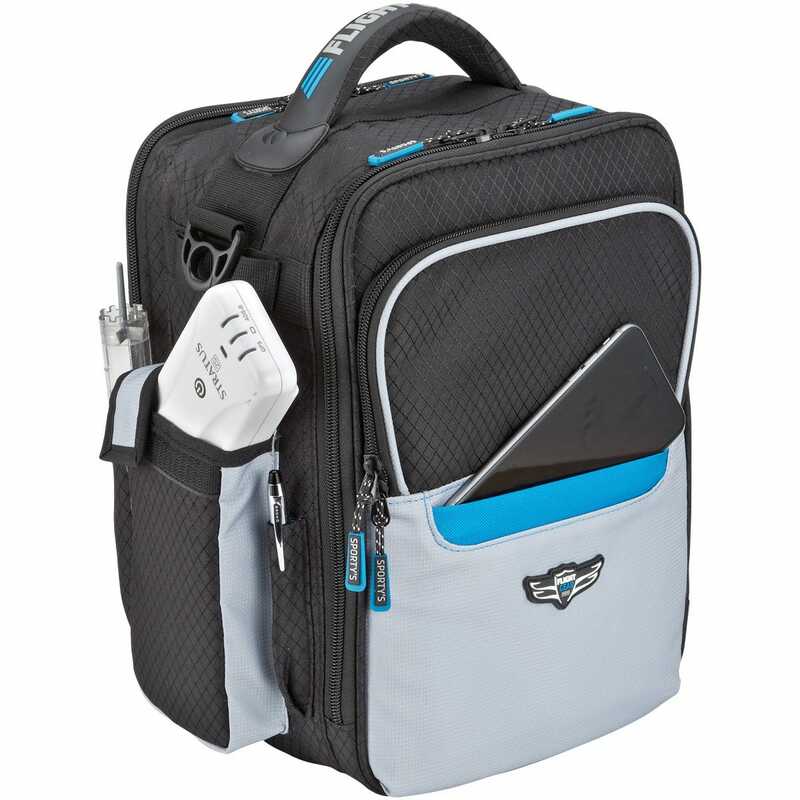 Will this bag fit the Flight Gear HP iPad Kneepad? It’s quick a bulky kneepad when the iPad is in it. BEST ANSWER: Hi Austin. Yes, it should. I'm a CFI, and needed a bag to that was more compact than my "big" Brightline bag, yet could hold everything I needed to haul around from one flight lesson to the next: iPad in its kneeboard/case, Stratus 2S, headset, flashlights, water bottle, and various cables. I've had the Flight Gear HP iPad Bag for 2 years now, and it was been the perfect size for me. Also, it has held-up very well, and still looks new! 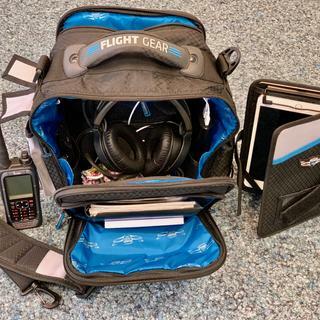 To your question, I'm not familiar with the Flight Gear HP iPad Kneepad specifically, however I do keep my iPad (standard size) in a MyGoFlight Folio Leather Kneeboard Lapdesk. That kneeboard also contains a separate clipboard for paper notepads, etc. That whole thing, including the iPad itself, is VERY bulky, and I was afraid it wouldn't fit in the Flight Gear HP iPad Bag. But as it turns out, it fits just fine, and I can also paperwork, etc. in the same bag pocket! So overall, I've been very pleased with the bag: it fits all my essentials including the iPad+ bulky kneeboard, and still looks new after 2 years of regular CFI use. Way more value than I expected at that price point. Fred S.
I'm not familiar with that kneepad but the pocket is larger than it appears and can fit multiple items. 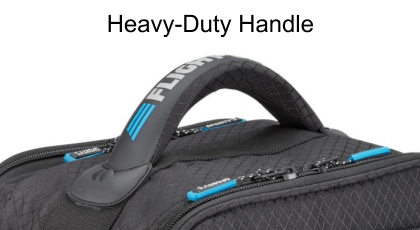 Can bag fit in between Cessna 172 RG seats ? BEST ANSWER: ‘M a CFII and fly in a variety of planes. The IPad bag has fit nicely in most models. I put it between in the rear floor of my Warrior just behind the seat in frontal profile and it is easy to access. In Cessnas I can place it between the seats in side profile (with the headset and IPad already out) since the trim on the lower panel instead of between the seats as in Piper models. In smaller planes, I lay the bag on the seat aft of the student, and there it is also pretty easy to access. From the right seat. 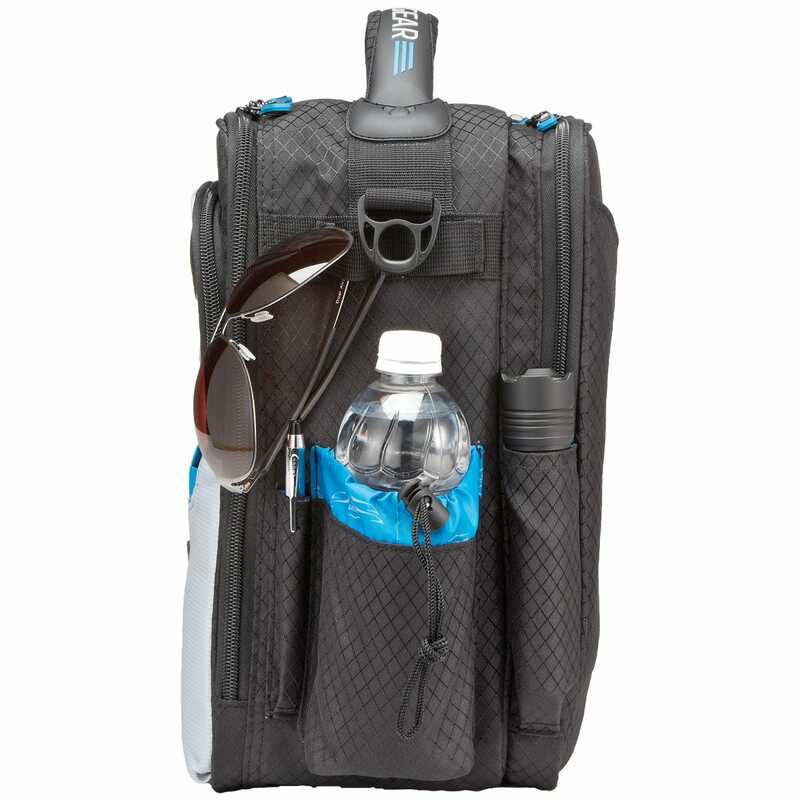 In all cases, it is easier to access than any larger gear bag and you can put just about anything you may need in this bag. It’s capacity is deceptively larger than it looks. In the Cutless, I have never used it, but I will on a ferry flight in about a week. Do you mean in between pilot/co-pilot seats, or between front and back seats. In any case, I love this bag. 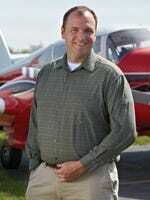 I fly a cirrus, diamond and C172. In each case, I place my bag on rear seat. Yes ...I mean in between the front seats, pilot/co-pilot. How is the "Cirrus" Silhouette? In your catalog there is the Cirrus Logo but not the Cirrus Silhouette. BEST ANSWER: We have a Cirrus Logo and we do have a Cirrus Silhouette. Thanks. But how is The Cirrus Silhouette? Do you Have a pitture or photo? In Your catalog you can find All Silhouette but not One of Cirrus. I emailed you a picture of the silhouette. I was incorrect we do have a Cirrus Silhouette. Will it fit the elite headset with or without the elite headset case? BEST ANSWER: The inside dimensions of the headphone compartment are 5-inches deep by 12-inches high by 10 inches wide. (Actually slightly wider and higher than I have given. I keep by headphones in my airplane so the headphone compartment is used for odds & ends. I keep my iPad in the back pocket and a Dell D430 computer in the "iPad zipper pocket" which has the same dimensions as the headphone compartment but is only 1-inch deep. The bag is very well made: fits my requirements to a T! Can I add a flag next to the embroidery text? What is the actual weight of the bag? BEST ANSWER: Approximately 3/4 of a pound. Where do the embroidery go? Examples? BEST ANSWER: The embroidery is centered on the front pocket flap. 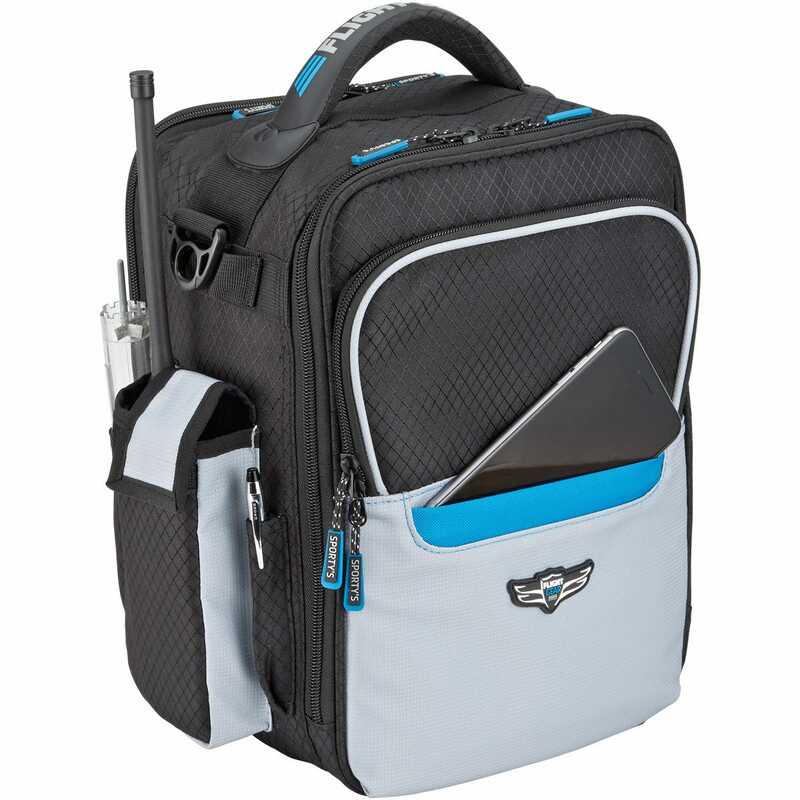 Can a jeppessen binder fit in the Flight gear hp iPad bag? 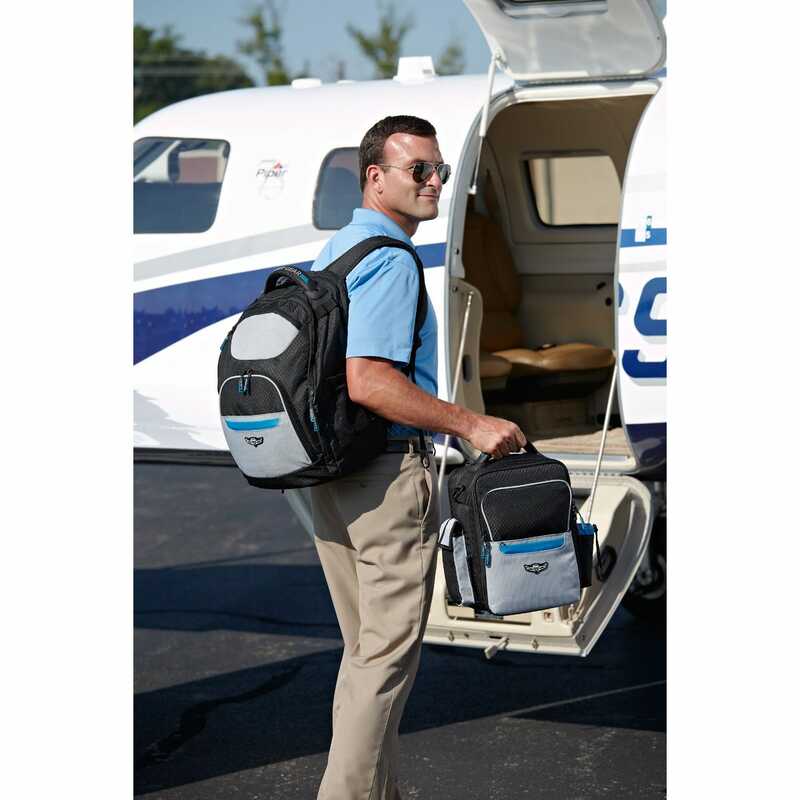 Can the asa rotating plotter fit in the flight gear hp iPad bag? BEST ANSWER: I say yes. An 8x10" Flight Manual will fit easily. 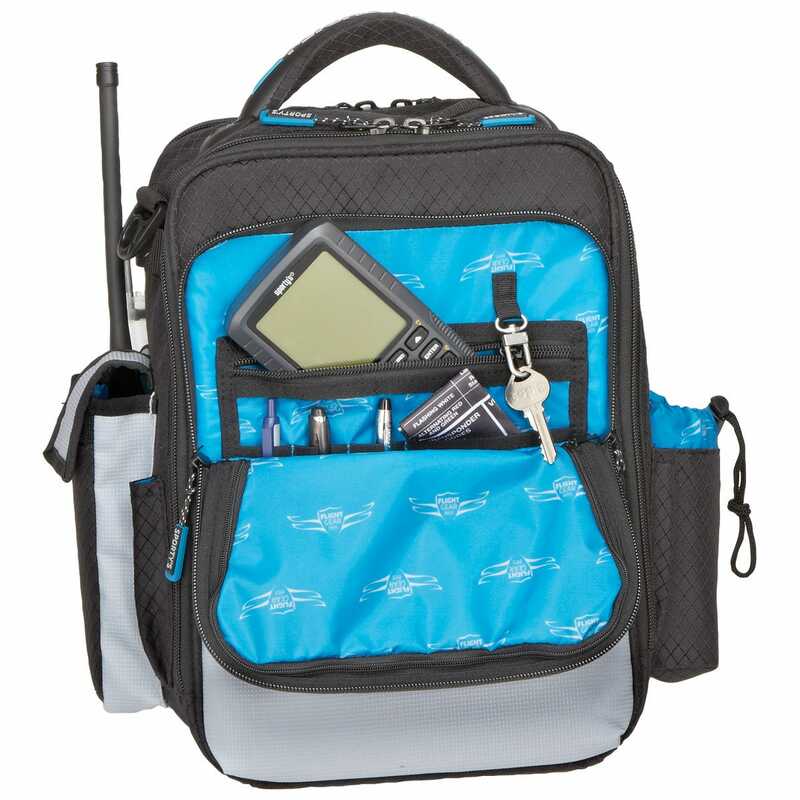 Can the asa rotating plotter fit in one of the flight gear hp iPad bags chart pockets? BEST ANSWER: It will fit on the inside pocket. 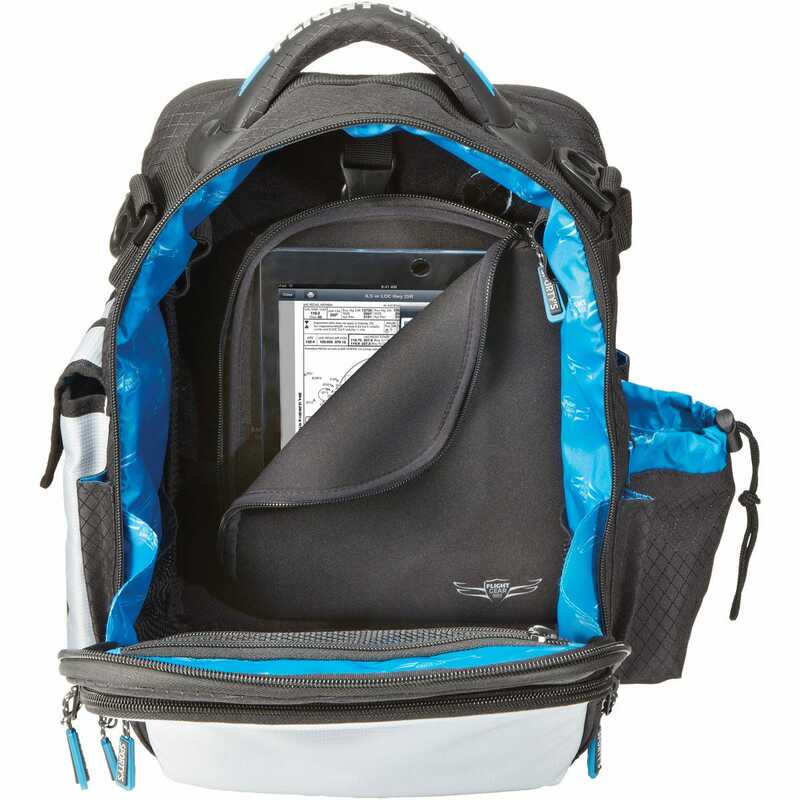 Can a jeppessen quick release chart protector fit in the Flight gear hp iPad bag? BEST ANSWER: Yes, it will hold the chart protector. Is the waterbottle pocket large enough for a 1L Nalgene waterbottle? BEST ANSWER: I don't think so. It's about the right size for the smaller 500ml bottles. That would be a deal breaker for me. Thank you. I see Air Force wings, can I get Navy Wings embroidered? BEST ANSWER: We do not have a set of Navy Wings. 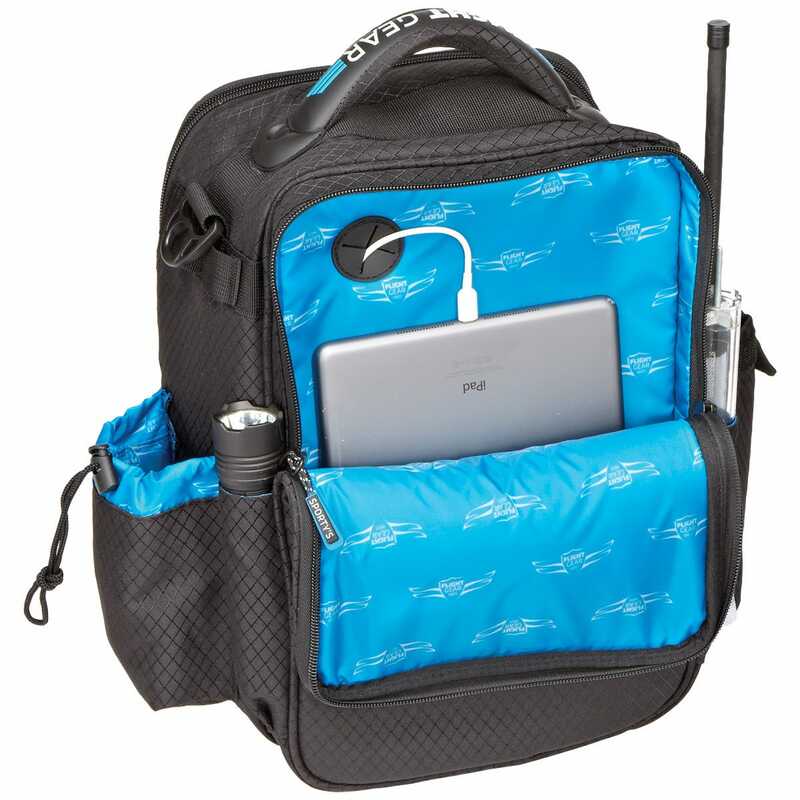 Is the Flight Gear HP iPad Bag waterproof? BEST ANSWER: It is not waterproof. What is the warranty of these HP bags? Will these last at least 3 years? BEST ANSWER: The product is warranted for three years. 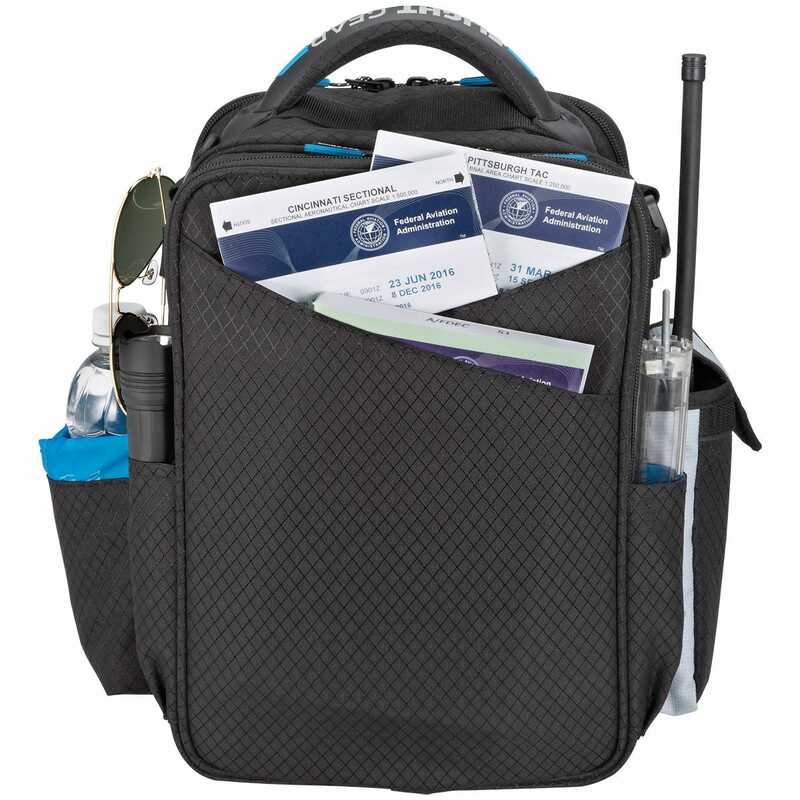 All Flight Gear HP has a 3-year warranty. 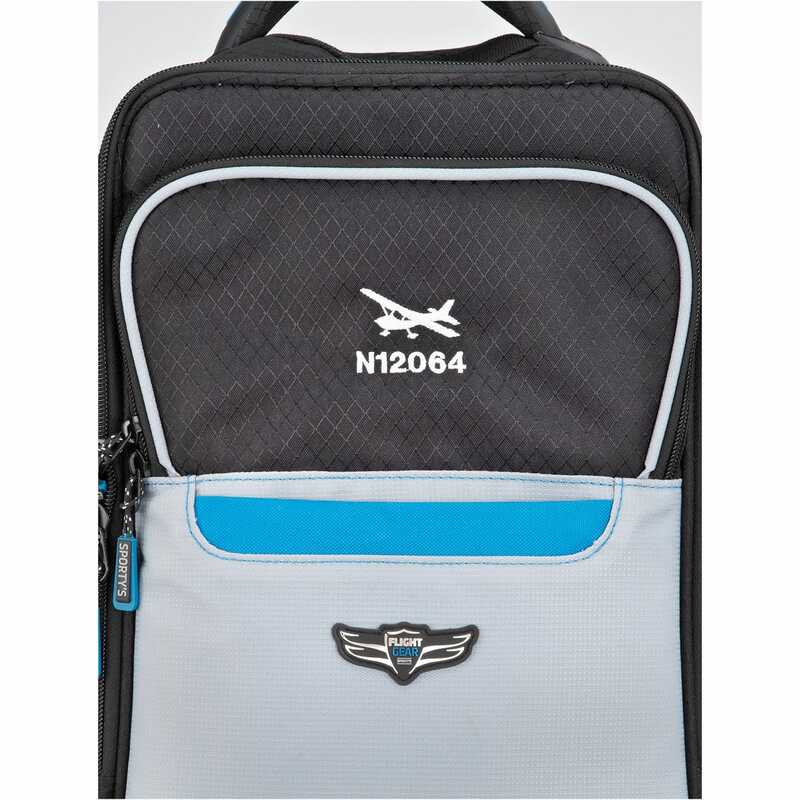 We have several flight instructors that have used similar bags for over 5 years. Can you embroider a name and the military fighter? BEST ANSWER: Yes we can embroider the military fighter silhouette and up to two lines. Each line is limited to 15 characters including spaces. Can you embroider the bag with a military fighter? BEST ANSWER: Yes, we do have a silhouette for military fighter. I have a flight club custom embroidery I'd like to use. Can you accommodate? BEST ANSWER: Yes we can do custom embroidery, The cost is $150.00 to digitized or you must purchase 25 embroider items. Will the cost be less if I send the digitized file to you. It's a PNG file. The cost would be the same. It has to be digitized to be used in our machines. How well will the Flight Gear HP iPad Kneeboard fit? BEST ANSWER: The knee board fits nicely inside the bag. BEST ANSWER: If you add the bag to your shopping cart, you can get an estimate of the shipping cost. 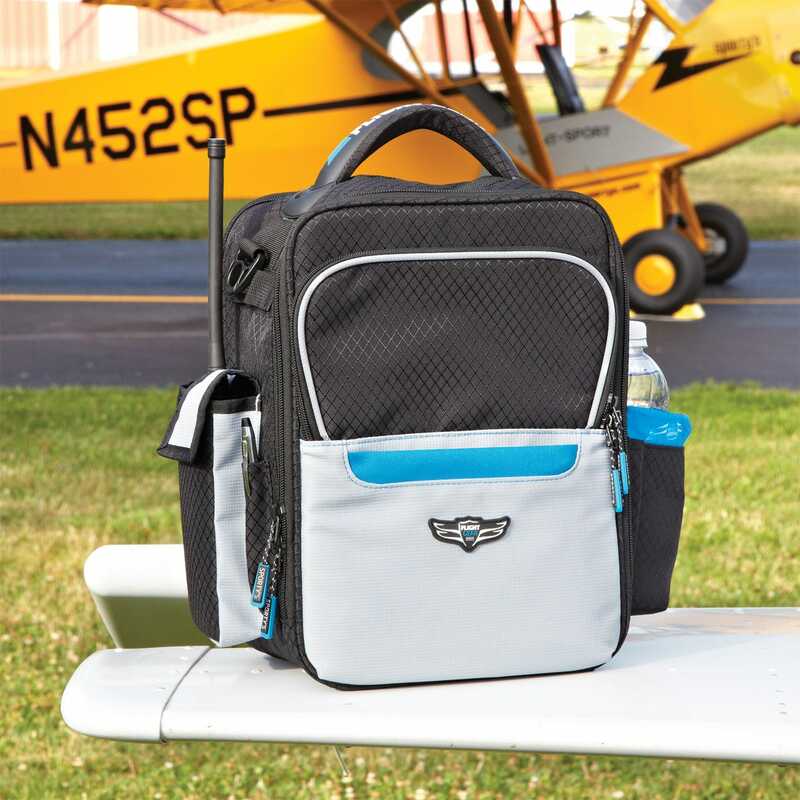 Do you have any pics of an embroidered iPad HP FLIGHT GEAR BAG? BEST ANSWER: The 9th picture (under the additional pictures section) shows an example. 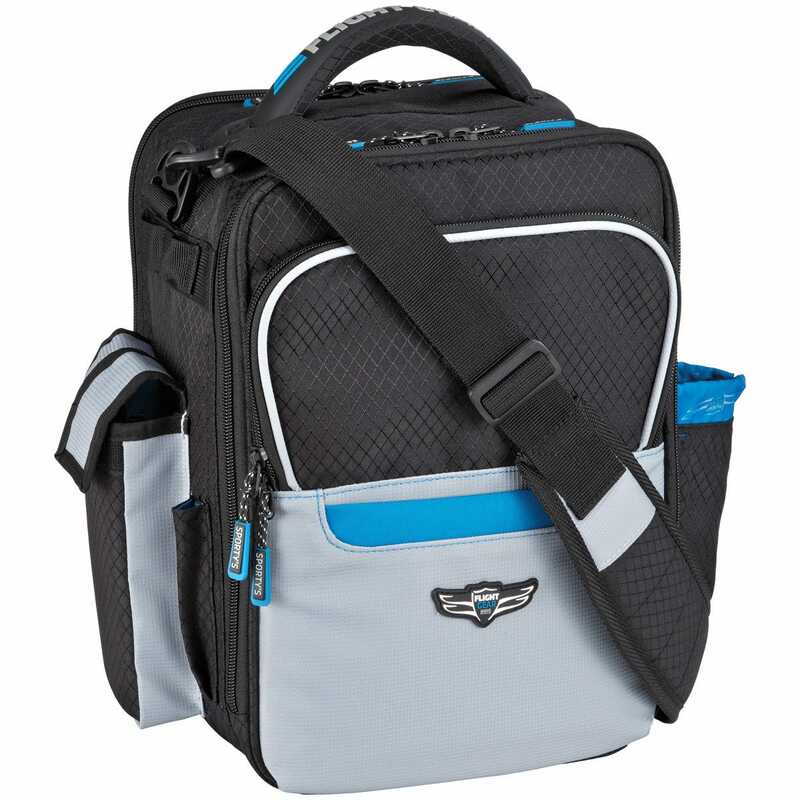 BEST ANSWER: The Flight Gear HP iPad Bag is about 13" wide, 9" deep and 12" tall or 15" counting the handle. This can vary a little based on how stuffed the bag is. The bag I measured was fully stuffed for flying. When the headset is stored, what room is left in the main compartment for storage? BEST ANSWER: There is some room for small items: a couple charts, charging cables, etc. The front pocket stores small items in an organizer section, and the back pocket is for a tablet.